If you already work with GenkiJACS, click here to access our agent info page. If you don't have a username and password yet, email us for access. Is your agency interested in working with GenkiJACS? 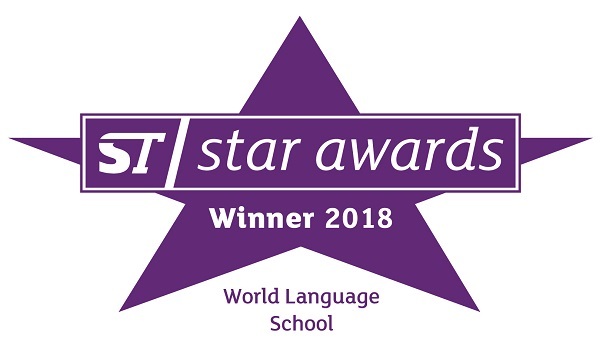 Star Awards: Genki Japanese School was shortlisted as a Star world language school at Study Travel Magazine's Star Awards every year from 2009 to 2017, and won the award in 2016! This nomination reflects the great service we provide to the agencies we currently work with. Government Accreditation: Since 2015, we are accredited by the Japanese government to provide student visas to students taking long-term courses. IALC: GenkiJACS is one of only two Japanese language schools accredited by IALC, the International Association of Language Centres. This accreditation is a mark of quality, and means students from countries such as Sweden can receive grants to study with us. Location: We have schools in both Tokyo, one of the world's top cities, and Fukuoka, a city of 1.5 million people in Southern Japan. Fukuoka is regularly chosen as one of the best cities in Asia, with beautiful beaches just minutes from school! Innovation: We offer a variety of courses aimed specifically at Western students, not just standard Japanese. We also teach Japanese Through Pop Culture, Japanese and Traditional Culture, and more! We have created innovative products such as our internship program, or our offerings for younger students. Accommodation: Both of our schools offer a wide range of accommodation types, including homestay, dormitory, guesthouse, and private apartment. Small classes: Classes are limited to a maximum of 8 students, so students get lots of personal attention. Flexibility: We can accept students at short notice, we can accept students with all kinds of personal requirements, and we are happy to make special arrangements upon request, allowing you to satisfy your clients' needs. We also accept students from 14 and above at our Fukuoka school. English support: Most school staff speak English, and mails are handled by a native English speaker, so communication is no problem! Western clients: Our student base is mostly Western, so our teaching techniques are focused specifically on the needs of Western students, unlike most other Japanese schools. This means Western students are much more likely to be satisfied with their study with us! We offer a full agent packet, with all information needed to start working with us. We also have a set of professionally taken photographs of the schools, accommodation and city locations, as well as many videos you can use to publicize our Japanese school. We specialize in great personal service, and in fast service – we reply to most emails in less than 24 hours, and almost always with a positive answer! If you’ve been holding off on working with a Japanese school because it seems difficult, now’s your chance! GenkiJACS makes it easy for you to help your clients who want to learn Japanese. And if you already work with Japanese schools in other parts of Japan, GenkiJACS offers a great option for you to increase the satisfaction of your clients! Mail us now for more information!